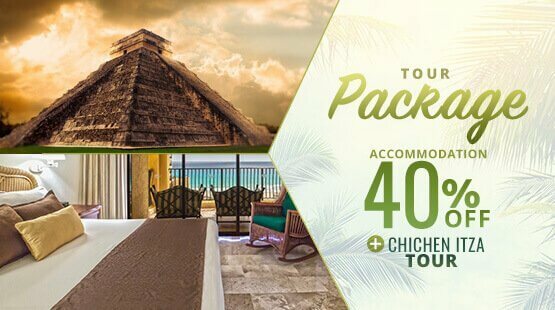 Take advantage of our Cancun special deals and promotions to live amazing vacations with your family and friends. Discover a blissful gateway to paradise in Cancun. 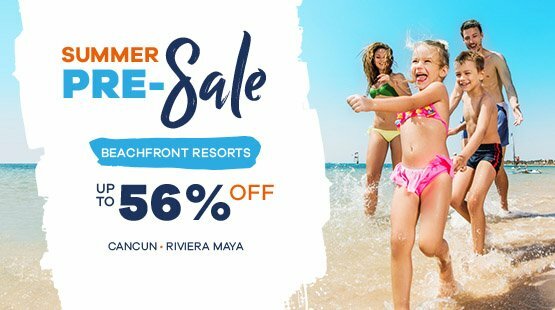 The Royal Caribbean is a beautiful resort matching breathtaking views of the dazzling turquoise waters of the Caribbean Sea with flawless first class service and unparalleled amenities for all family members. As a Royal Caribbean guest, you may choose between our two rate plans. The Room Only Rate Plan lets you choose your preferred suite and enjoy the different activities, entertainment, complimentary Wi-Fi, delicious in-house restaurants (with additional cost) and other facilities and amenities at sister resorts as The Royal Cancun, The Royal Sands and The Royal Islander. The Bed & Breakfast Rate Plan offers you all of the above, plus a delicious buffet breakfast at one of our top-notch restaurants. "Very family friendly, and we got what we were told. No extra charges whatsoever! My children had a blast! Breakfast was good and offered a good variety. We would absolutely recommend it to friends. Would be happy to go back!" "We had such a good time in this hotel, and the employers were so lovely and were always trying to help us. The food is really really good. The rooms we always clean, and have a good space. We spent a week there, but i wish i could stay a month in there!!" "We usually do not stay at large resorts but this did not seem that large. The staff were so helpful. The ocean view was amazing. We enjoyed watching the sun rise for seven days. Lovely place to stay. Would recommend it for sure." In a seductive tropical setting with overwhelming ocean views, our Cancun accommodations offers stylish and spacious villas with an impressive range of amenities for an ultimate comfort experience. A new and delicious way of tasting life awaits your discovery at our restaurants, featuring unforgettable international, seafood and Mexican dishes. Our resort boasts amazing places to chill and enjoy the beautiful tropical landscapes around you, and a wide range of amenities for a memorable vacation while our staff makes you feel like royalty.